Hello everyone! 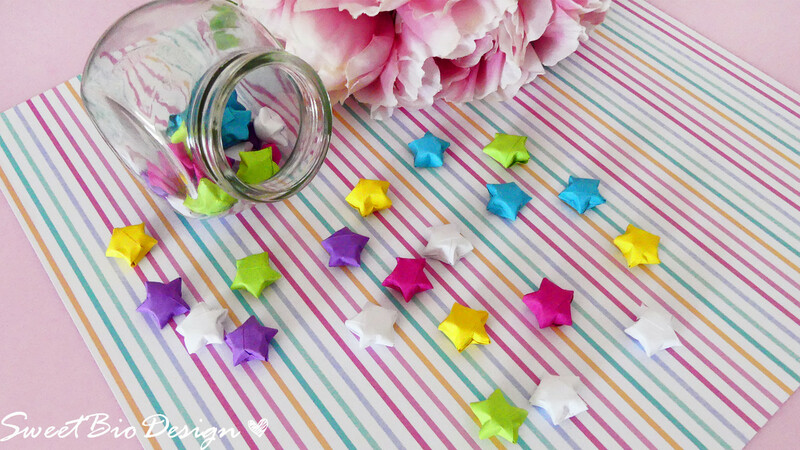 Today I show you a very nice design, which I use mainly as embellishment for my desk: paper stars. Queste stelline sono dei porta fortuna, potete crearle di tutti i colori e poi inserirle in un contenitore. Sono anche degli anti stress, potete farle nei momenti di noia per passare il tempo. 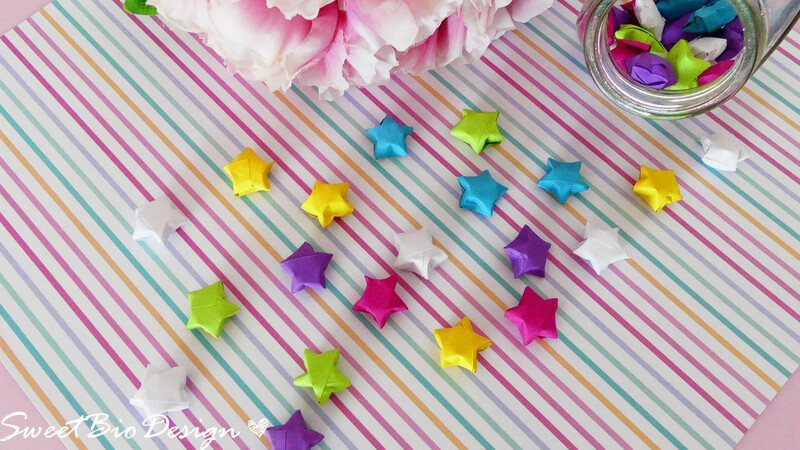 These stars are good luck, you can create them of all colors and then put them in a container. They are also anti-stress, you can do them in moments of boredom to pass the time. Sono molto carine anche come idea regalo, magari abbellite con un nastrino e un fiocchetto. They are very nice also as a gift idea, perhaps embellished with a ribbon and a bow.